Newman Stewart was a positive revelation when compared to others in the recruitment field. They were very clear in explaining the process, understood clearly what both the client and myself were looking for and always kept me well informed. My experience with Newman Stewart has helped rekindle my faith in recruitment agencies. Rhenus Logistics offer high-quality, cost-effective freight logistics solutions for exporters and importers. With 75 years of proven performance, a commitment to results has established Rhenus Logistics as a major operator, direct to overland markets, and now with additional services to global destinations. A major UK based organisation with a turnover in excess of € 80m, Rhenus Logistics employs 270 people in 11 strategically situated locations throughout England and Scotland. Because we deliver around 220,000 consignments per year for 2,000 clients, we know what’s involved in getting your goods to the right place at the right time in the right condition. 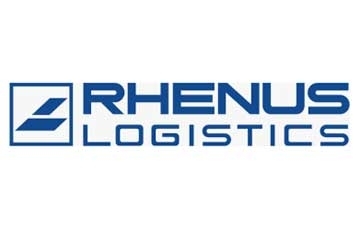 Rhenus Logistics needed to fulfil a high visibility, business critical Depot Manager role in their Cannock branch with responsibility for setting the strategic business development objectives and implementing the team and tactics required to achieve them. With a proactive sales focus, the successful candidate would deliver revenue and profit to the business, manage a team of 50 staff including 4 senior managers and so was integral to achieving the company’s growth plans. Rhenus was looking for impressive personal credentials, a history of continuous self-development and experience within a similar role, which made the search complicated. After a 3 year search in-house and through other recruitment agencies, and not sure where else to turn, they approached Newman Stewart. Newman Stewart used a combination of approaches including executive search and management selection utilising our large network of logistics professionals. Within just 6 weeks Newman Stewart was able to agree and define the brief, identify potential target companies, headhunt a shortlist of exceptional candidates, 3 of which were selected for interview, and ultimately conclude the assignment.